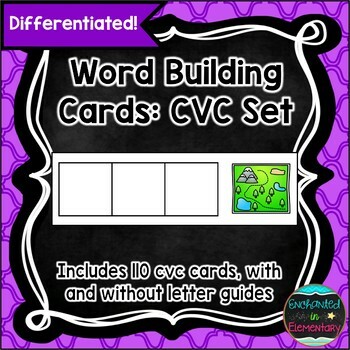 This is a set of 110 cvc word building cards for word work or phonics practice. 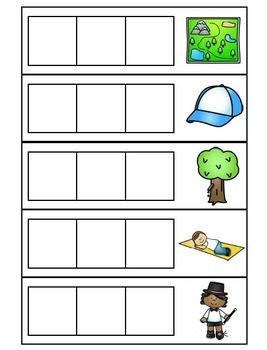 Also included: a recording sheet and two kinds of printable letter tiles (one with all letters in black, one with black consonants and red vowels). 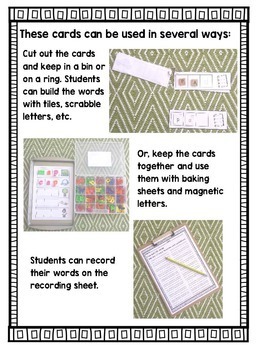 The cards can be used in several ways (with letter tiles, scrabble tiles, magnetic letters, etc), check out the preview to see them in action! 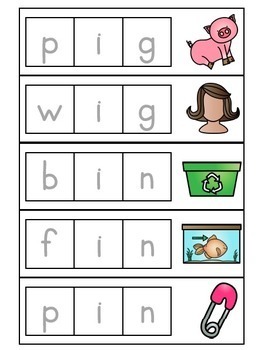 Working on CVC words? Check out these resources!